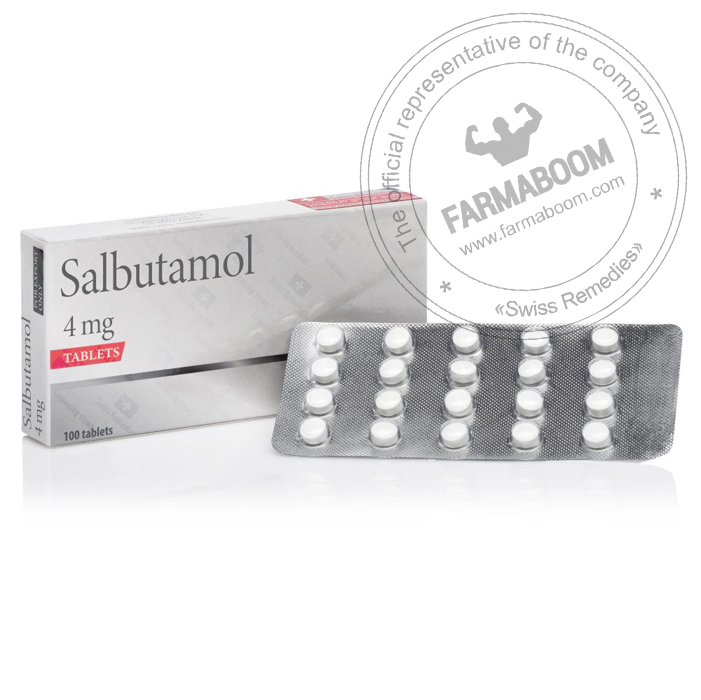 Salbutamol is a bronchodilator that is very similar to Clenbuterol Hydrochloride. Officially, Salbutamol is classified as a beta-2 adrenergic agonist and is regularly used as an asthmatic medication. It is also used as a thermogenic in performance enhancement settings, but is not as common as Clenbuterol for this purpose. 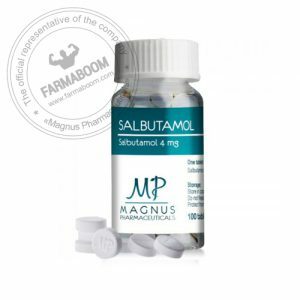 Using Salbutamol 4mg by Swiss Remedies can help increase muscle strength as well as performance. Besides, users will also enjoy increased muscle mass and even endurance during exercises. What this means is that this drug offers a double positive effect. Salbutamol also comes with a few health benefits, chief among them being its ability to influence the overall cholesterol level in the body. Indeed, research has shown that it increases cholesterol levels of high-density lipoproteins while lowering those of low-density lipoprotein or bad cholesterol. For people who’ve used Salbutamol for over 20 years, the risk of side effects tends to be very minimal. And if they occur, their impacts are short-lived and often mild. Some of the common effects (most of which occur as a result of overdosing) include headaches, tremors or tachycardia. Others are palpitations, irritation of the mouth and throat, and muscle cramps. The recommended dosage for Salbutamol is 24 mg per day for experienced athletes. Beyond this amount, you’re likely to expose yourself to grave risks for your health. Consider using the supplement for a maximum of 21 days. However, it’s worth noting that 14 days will also be sufficient. For best results, it’s important to start with a minimum dosage of 8mg for the first three days and then gradually increase this to 24mg. Divide the dosage into three doses: morning, noon and evening.